Liverpool’s Christmas market has made a stunning move! 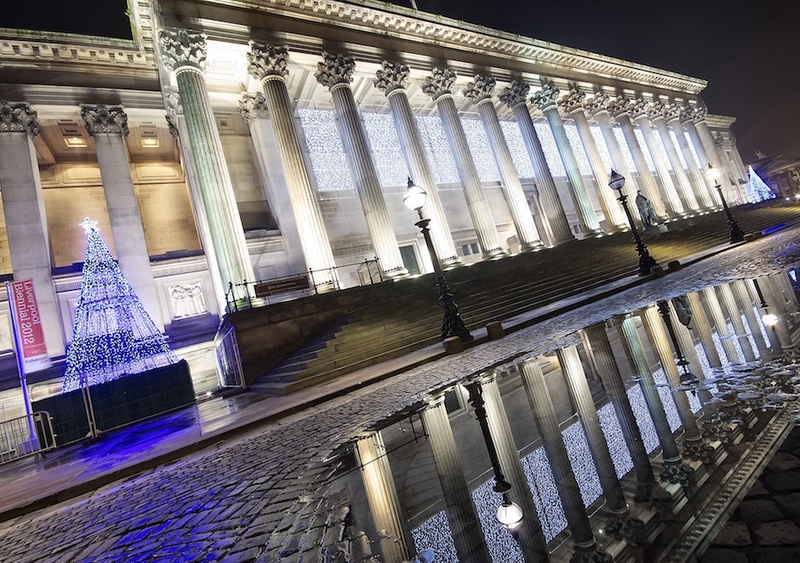 Now in its 11th year the festive attraction is to have a spectacular new home outside the iconic St George’s Hall, where the city famously launched its year as European Capital of Culture in 2008. The new location has been chosen so the festive market can complement the UK premiere of the Dreamworks Lights show – a lantern extravaganza featuring characters from the blockbuster films of Shrek, Kung Fu Panda and Madagascar, which the Grade I listed hall will be hosting from Thursday, 26 November to Sunday, 15 January 2017. Liverpool’s Christmas Market will open on St George’s Plateau on Friday, 18 November, the same day as the worldwide release of the new Harry Potter blockbuster, “Fantastic Beasts and Where to Find Them”, in which the hall and plateau both have a starring role. The new look market will run until Thursday, 22 December operating from 11am-9pm and 11am-5pm on Sundays. Facing Lime Street station, the festive attraction will act as the shop window to the city’s Christmas offer and will feature more than 40 stalls selling food, arts and crafts from across four continents. The market, which will be animated throughout its run with specially designed creative interventions, will also feature traditional Christmas fare including gingerbread, roasted chestnuts and hot mulled wine and will be promoted as a key feature in the city’s One Magical City marketing campaign. It is the first year the city’s Christmas Market has been fully operated by Liverpool City Council, after it brought back the city’s market company for £1 last month. Joe Anderson, Mayor of Liverpool, said: “Liverpool’s Christmas Market deserves to be in a beautiful place and we’re delighted we can now move it to one of the best locations in the country. ‘’The stunning backdrop, which Harry Potter fans will soon get to see, is a huge boost for our Christmas plans and with families pouring in to St George’s Hall for Dreamworks Lights it’ll take the market to a totally new level. ‘’St George’s Plateau is the city’s postcard to the world and with the extra special animation we have in store for the market and Dreamworks Lights it will be a magical sight this Christmas. Last Christmas, St George’s Hall, which sits at heart of the city’s St George’s Quarter, played host to the Weeping Window poppy installation. The event was part of the UK’s WWI 1914-18 centenary commemorations and attracted 360,000 people. Gillian Miller, Chief Executive of the Royal Court Trust and Chairman of St George’s Quarter, added: “This is a great opportunity for St George’s Quarter to become an integral part of Liverpool’s magical Christmas offer. It is estimated the Christmas season is worth more than £1.5bn to Liverpool’s visitor and retail economy.